« Episode 13: Star Wars geek out with Andrew Shell! 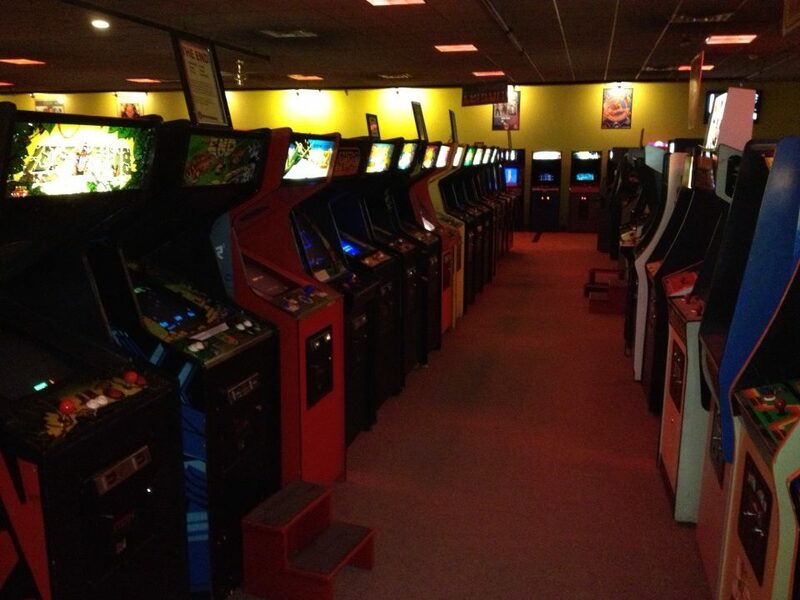 The video arcade: What the Uncommon Geek looks for is hard to find. Coin-op machines: Call me old fashioned, but I feel that arcade games should RUN ON QUARTERS OR TOKENS! Who in the world thought that arcade games should run on a pre-paid card system?! If I want to relax and lose myself in a game, I typically don’t want to be bothered for at least a few continues. 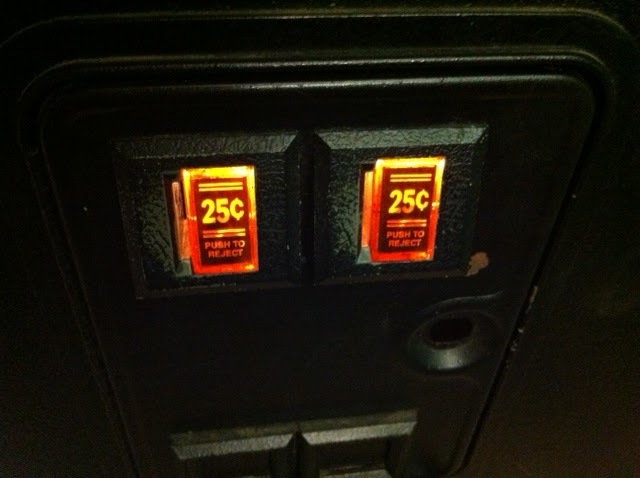 I just want to go in with a fist full of quarters, stand (or sit) at a cabinet and plunk quarters in until I run out, then leave. I don’t want to have to stand in a line for several minutes just to add money onto a pre-paid card that I more than likely forgot at home only to have to pay $10 for a replacement card plus the money that I have to put onto the card to be able to play a game, which sometimes can be a minimum of $10-$20 to just play 75 cents worth of Donkey Kong. No time limit games: I will admit… I sometimes enjoy a time limit game. Time Crisis is the best in my opinion. But, let me explain what I mean. 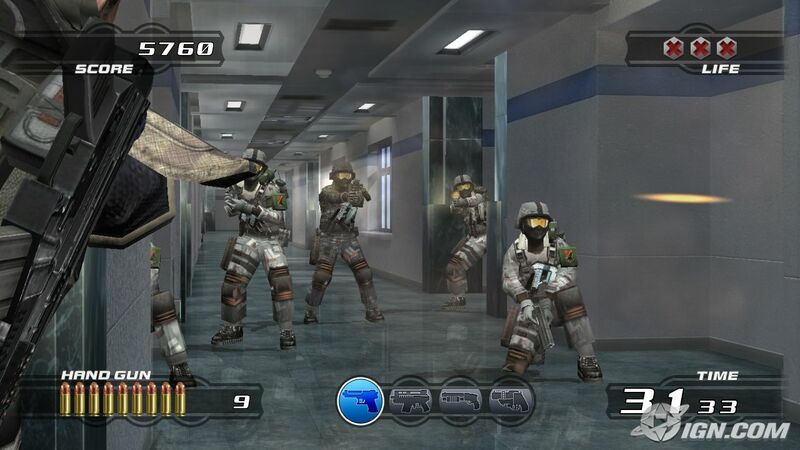 The newest example that I can think of is the shooter arcade game “Terminator: Salvation.” You play as the human resistance, and you basically need to shoot anything that isn’t human to stay alive and to progress to the next level. Sound simple, right? Well, you need to beat the stages in a certain amount of time or else it’s game over. I’m a pretty good shot, if I do say to myself, but this game is impossible. The game gives you about 5 minutes to get to each checkpoint, and each checkpoint you get past only adds about 45 seconds to your remaining time. What this amounts to is, even if you are playing two player, you can’t get farther than the 3rd stage before you either get ridiculously overwhelmed, or you run out of time because you and your partner are shooting a T-800 that is right in front of you filling 75% of the frakking screen using every power up and grenade point blank for a minute and you run out of time. I’m serious… a frelling minute! 60 seconds of not doing ANY damage! So, you put in another $1.00 (yeah. That’s the cheapest I’ve seen the game for. I saw one location that was charging $1.75 PER PLAY) thinking you almost had him, only to have him kill you in two hits, and it’s back to the continue screen. Point is, I feel that games should be based on how many lives you have and NOT a countdown timer. 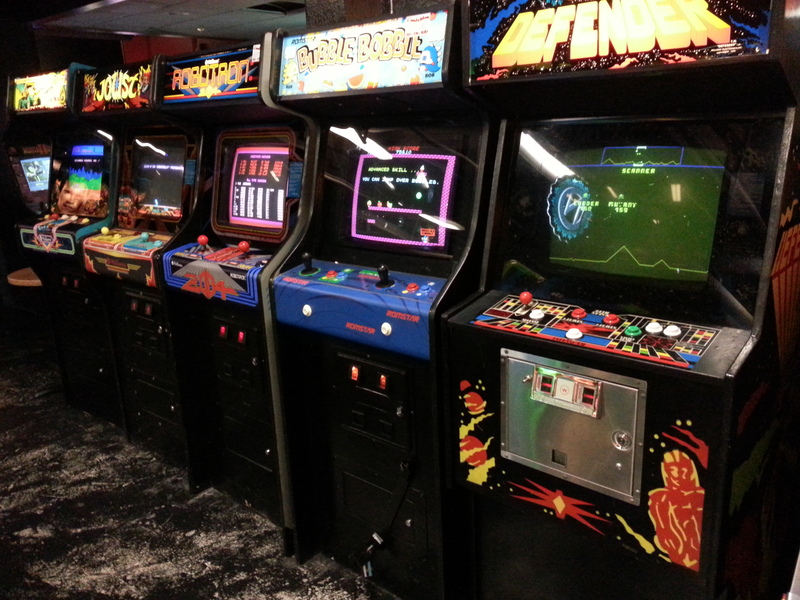 A nice selection of classics: You should always respect those who came before you, and this applies to arcade games as well as those who grew up on said games. As I mentioned before, sometimes you just want to save Daisy from Donkey Kong. Though it isn’t my number one game of choice, I honestly do enjoying a few rounds of DK every now and then WHEN I CAN FIND IT. Many a time it has been when I go into an arcade and see maybe one classic cabinet, if that. I don’t mind playing these newfangled games what cost $2.00 per play with a 3 minute timer just to try it out. Who knows, maybe it is actually good. But for me, 95% of the time it’s all about the classics; TMNT, Dig Dug Star Wars and Return of the Jedi, Donkey Kong, Q*Bert, Asteroids, Gorf, Centipede, Galaga, Robotron 2084, and others. And, of course… TRON! If an arcade has TRON, chances are I will forsake all other games, and possibly the group I’m with and easily spend $10 in quarters on that game alone. Atmosphere: A good arcade should have a good atmosphere. When I think of what an arcade should look like, Flynn’s arcade from TRON comes to mind. A good atmosphere, in my opinion, adds to the immersion of the gamer into the game. One could argue that a good arcade should have food. But, if you think about it, the games would get all messy, and no one wants to handle a dirty joy stick (*snicker*). When it comes right down to it, I suppose you could say that I’m a purist when it comes to arcades. I was born at the height of arcade life, but unfortunately, I became old enough to enjoy the arcade experience when they started to decline. Our local mall took out their arcade when I was about 15 or so, and a mall that was farther away that had a good atmosphere died a few years ago. All of the other “arcades” around are all the opposite of the above. I hope to one day open an arcade of my own. It will have all the flare and aumbiance of the classic arcades of yesteryear, and I will have 4-6 TRON games and I would hold tournaments and other fun stuff that use to happen before the true form of the arcade died. And I will call it, Retro-spect Arcade! And it will be glorious!